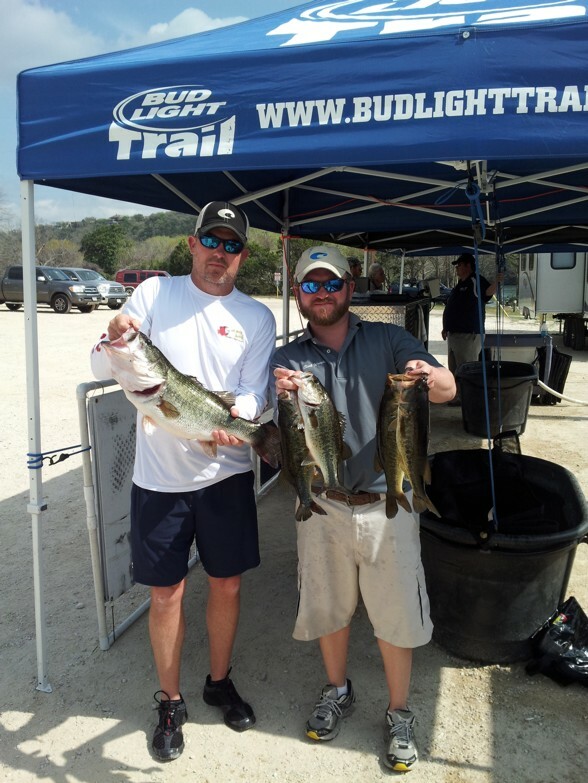 Pro-Staffers Brian Parker and Clint Wright (Lake Austin Fishing guide service) take 2nd at Lake Austin fishing the Bud Light Trail March 17th, 2013. Great Job!! 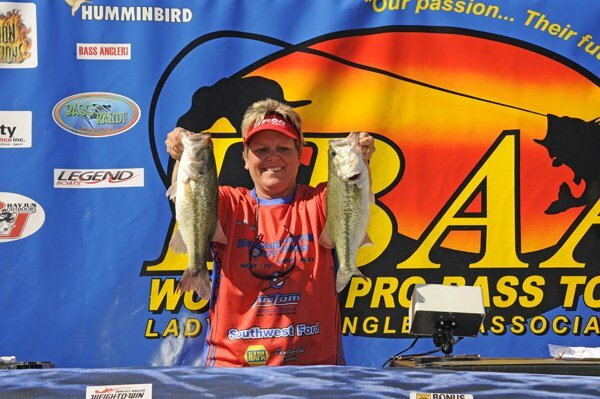 Custom Angle Rods Pro-staffer, Kim McGuffey finished 9th in her first Lady Bass Anglers tournament on Lake Ray Hubbard March 23rd and 24th. Congratulation to Kim for her top 10 finish. 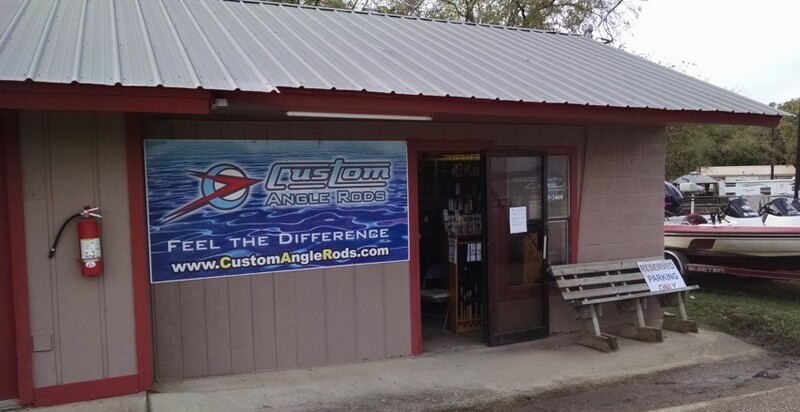 Custom Angle Rods Pro-staffers win Bud Lite on Richland Chambers March 10th. Brandon Mobley and Randy Garrett weighed in an impressive 21.80 lb stringer which included a 7.04 kicker for the win. They attributed their success to Custom Angle Rods Halo Stick allowing them to feel that ever so slite spinner bait bite. Congratulations! 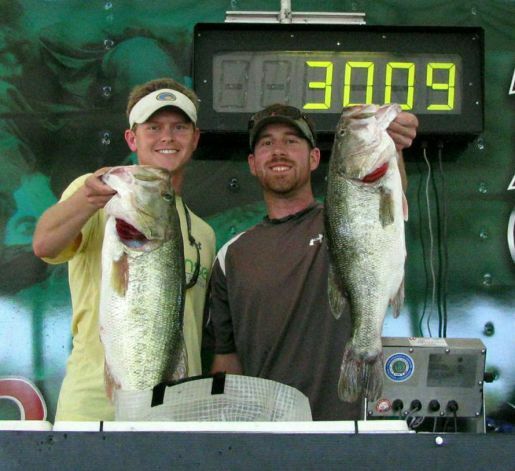 Max Miller (left) and his partner, Taylor Robbins win the Lake Conroe Team, Ignition Bass tournament with 16.36 lbs. Max was using a Hot Rod Series cranking rod by Custom Angle Rods. Another win for the Hot Rod Series. Garrie & Morris almost do it again!!! 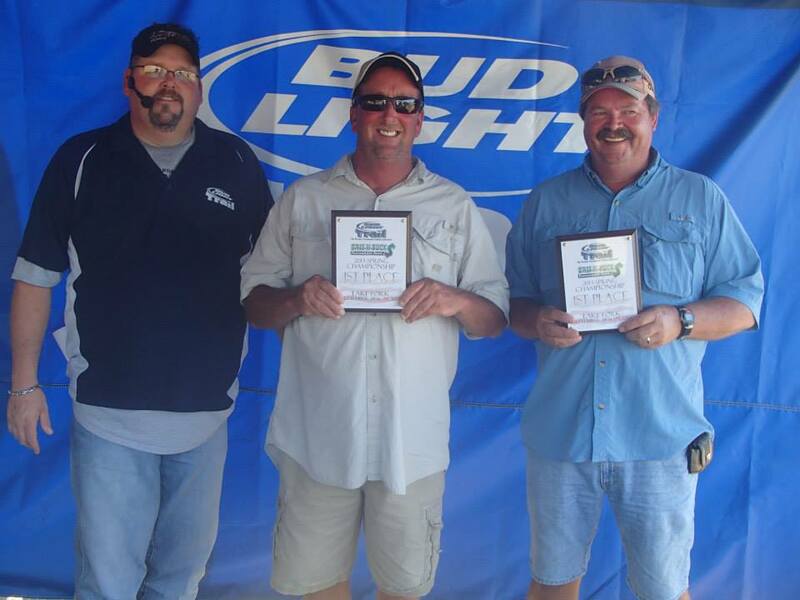 Custom Anlgle Rods Pro-Staffers, Jonathan Garrie and Keith Morris of Nacogdoches, TX, take 3rd place in the Bass Champs South Regional Championship on Lake Falcon October 8th & 9th. Jonathan and Keith produced a 2 day total of 74.26 lbs even though they had only been on Falcon one other time in their lives. They were using 6th Sense crankbaits and Custom Angle Rods - Hot Rod Series Carbon-Glass crankbait rods. Great Job, way to close out the season. 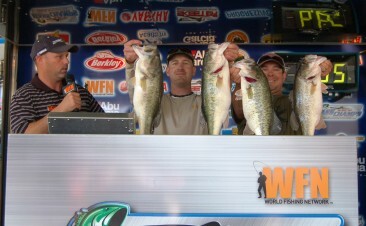 Close but what a thriller for Custom Angle Rods pro-staffers at the Bass Champs Northern Championship! Corey and Craig Waldrop came from behind on day 2 of the Bass Champs Northern Division championship at Cedar Creek to nearly win the tournament, falling to 2nd place by less than a pound. The Waldrops were a little more than 8 lbs out of the lead after day one weighin with just 13.47 lbs and sitting in 20th place. The day one leaders had 21+ lbs and the 2nd place team had 18+. Breaking off a huge fish in a brush pile early on day 2 did not help things, but then at about noon, Corey picked up his Hot Rod Series crankbait rod and the rest is history. Corey and Craig weighed in an amazing sack of 21.45 lbs to come from behind to lead the tournament. Then with weighin nearly completed the day 1 second place team weighed in a 17 lb bag to take over the lead. Congratulations to Corey and Craig for a great effort. 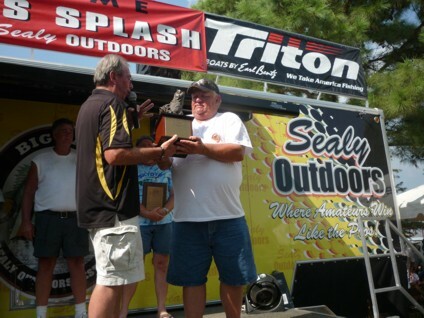 Wayne & Wayne Win Anglers Quest on Big Sam! 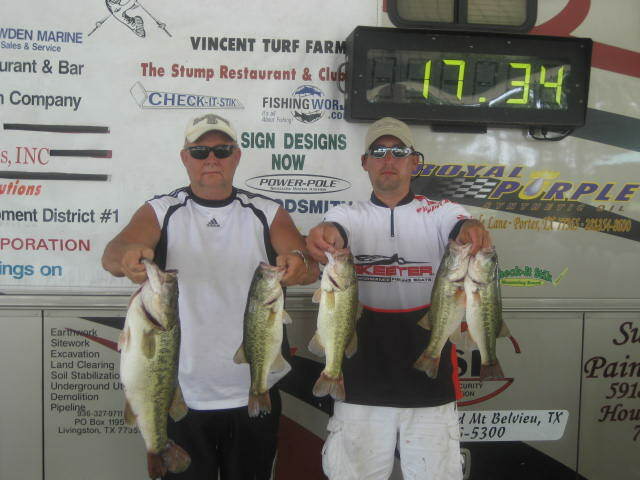 Wayne Trianna Jr. (right) from Nacogdoches, TX and Wayne Thomas from Lumberton, TX fished points on the north end of Sam Rayburn to win the Anglers Quest team tournament. Wayne was using Custom Angle Rods Moby Bass Series and Pro Models trowing football head jigs to finish with a 5 fish limit of 17.34 lbs. Topping off their bag was an 8.65 lb hog cought on Custom Angle Rods Moby Bass Pro Model Grass Masher. Jonathan Garrie and Keith Morris Win Again At Big Sam! Jonathan Garrie and Casey Sobczak Win Again! 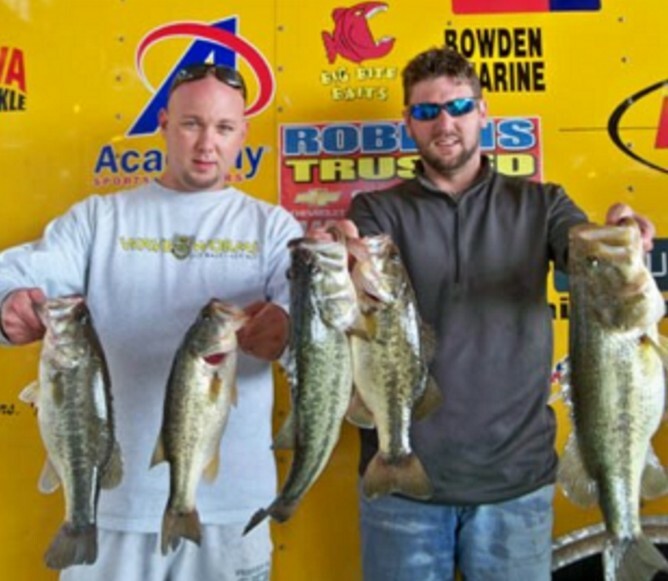 Custom Angle Rods Pro-staffer, Jonathan Garrie (right) and his partner Casey Sobczak (left) weighed in a 5 fish limit of 30.09 lbs to with the final Bass-N-Bucks tournament of the Rayburn Series on Saturday, May 7th. There net weight with a dead fish penalty was 29.59 lbs. Their stringer included the big bass of the tournament weighing in at 10.11 lbs. 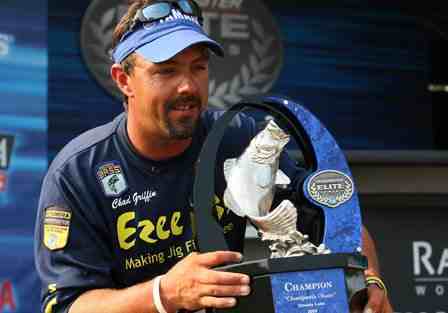 This win clinched the Angler of the Year award for Jonathan and Casey. Congratulations ! Another Big Win for Pro-Staffer Jonathan Garrie!!!! 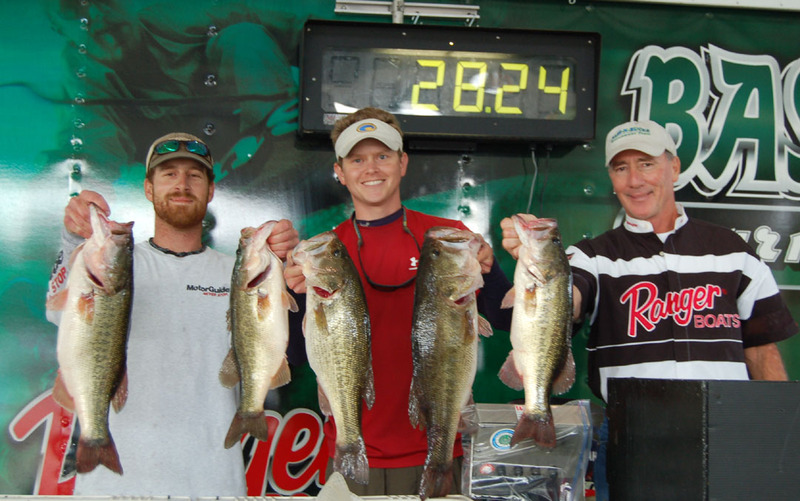 March 19, 2011, Jonathan Garrie (center) and Keith Morris (right) put to good use, the right combination of 6th Sense Crankbaits and Custom Angle Rods to win the Bass Champs tournament on (where - else) lake Sam Rayburn with 29.41 Lbs. 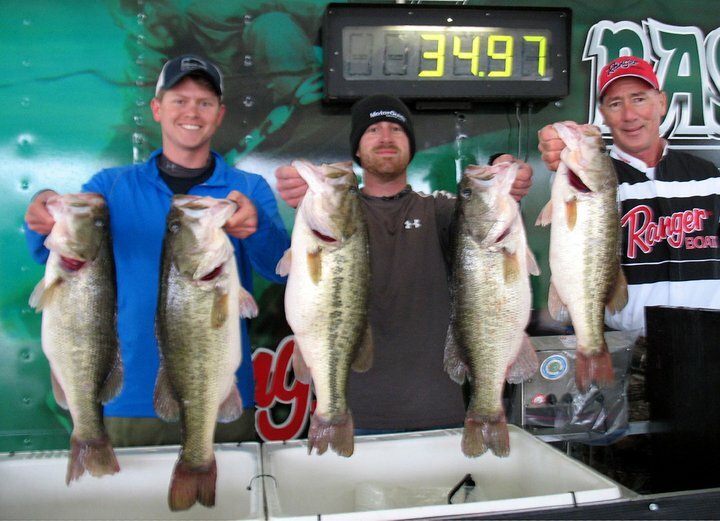 Custom Angle Rods Pro-staffer Jonathan Garrie (center) and his partner Casey Sobczak (left) did not waist any time in catching their winning 34.97 lb stringer. 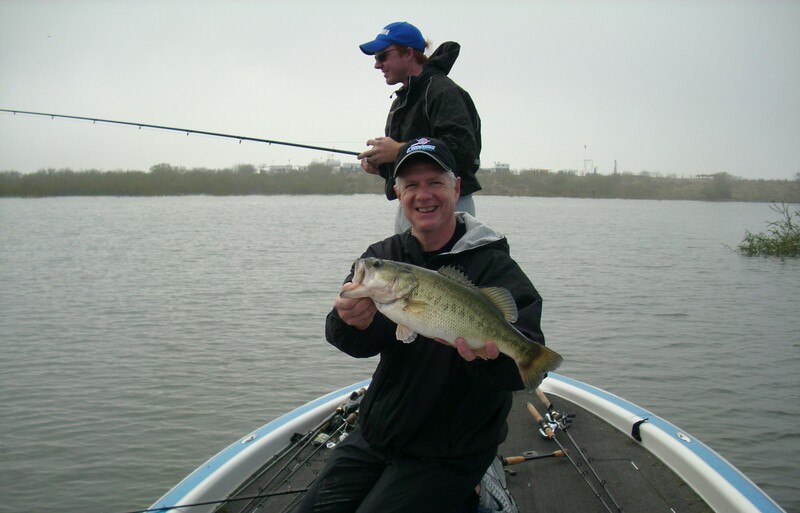 With high winds and falling tempatures forcasted, tournament officials allowed contestants to trailor to their fishing spots. 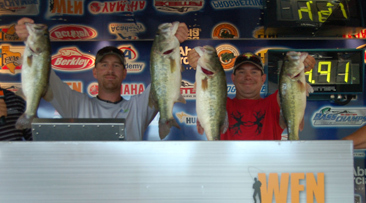 Within an hour, Jonathan and Casey had their livewells full of fish averaging 7 lbs each. The weather continued to get worse and at 9:00 am they made the decision to load up and weigh their fish in early. They did not want to loose any fish in the livewell. Jonathan was throwing square bill crankbaits by Casey's company, 6th Sense Lures. Jonathan was throwing his crankbaits on Custom Angle Rods 8' XH Hot Rod Series crankbait rod. A cranking rod featuring integrated carbon/glass technology with reverse wrapped guides. Congratulations to Jonathan and Casey. Rodney Stovall of Mineola, TX catches "Moby Bass" to win the Sealy Outdoors McDonalds Big Bass Splash on Lake Fork, TX with the help of his Moby Bass Series Carolina rig rod manufactured by Custom Angle Rods of Lake Fork, TX. Rodney weighed in his 11.06 pound hog during the 12 -1:00 hour on day 2 of the tournament. With a slow morning behind him, Rodney decided about noon to move to a new spot to finish out the day. He threw a Carolina rig with a watermelon-red baby brush hog on his 7' 6" Moby Bass Series Carolina Special. On his third cast he could feel the big hog take his bait. When he set the hook he knew he had a good one but his net was in the back of the boat. As he went to get his net he could feel the big fish dragging his line around a stump and with net in hand and foot on the trolling motor, the big fish left the stump towards his boat and right into his net.